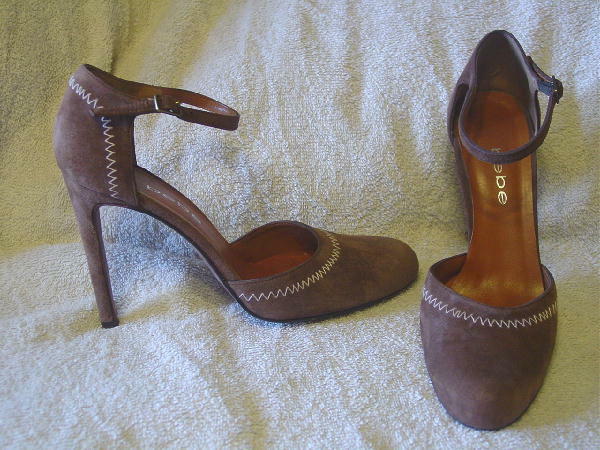 These cocoa color soft suede shoes were made in Spain by Bebe. 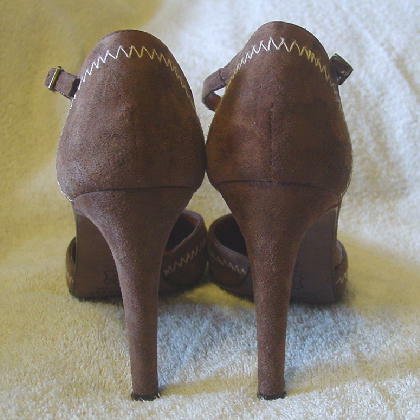 They have rounded toes, ankle straps, and decorative antique white stitching. 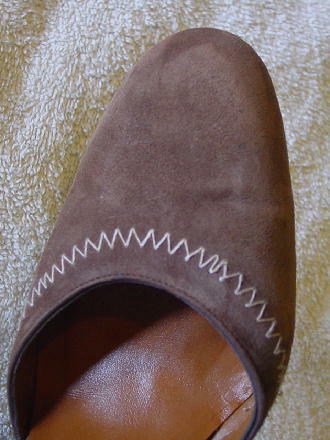 There are also leather soles. 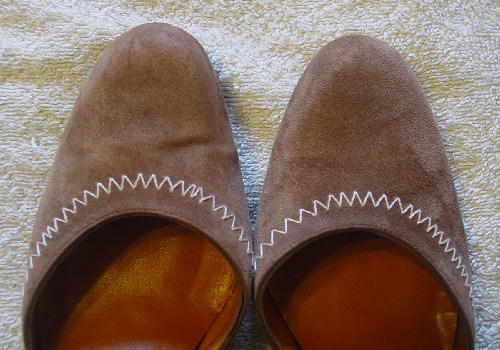 The left shoe front (right side) has two darkish spots. They are not as visible when the suede surface is moved with your fingers.